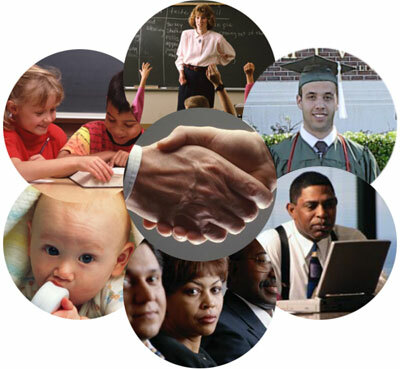 New Life International Community Development Corporation has formed alliances with colleges and universities throughout the U.S. to make certain that every student and family is afforded the opportunity to effectively prepare for college and career development. It is through our alliances that we can merge together your preparation and opportunties; to enhance the quality of your academic and professional life as we make certain that you are no longer effectively shut out of the academic and economic opportunities that exist in America and around the world. In the next ten to fifteen years it is estimated that COLLEGE EXPENSES will exceed a QUARTER OF A MILLION DOLLARS!! Are you equipped with the necessary knowledge to secure a bright and productive future for your child's educational needs? Do you want to insure that your child is equipped with the necesssary skills to perform beyond grade level with hopes of one day securing scholarships? Are you aware that being unprepared to address a child's educational needs will cost tens of thousands of dollars in loans? Are you prepared to spend a lifetime trying to get out of the debt caused by dependence on educational loans? The article, "The Big Payoff: Educational Attainment and Synthetic Estimates of Work-Life Earnings", provided a useful revelation concerning education and earnings. The article examined the issue of individual's going further in their educational pursuits and found that earnings increased with educational level (U.S. Census Bureau, 2002). The study illustrated earnings for individuals that represented different educational level. For example, individuals who achieved a doctorate degree earned more than individuals who only attained a high school diploma. The Washington Research Council (1999) reported that the attainment of higher education produces a social investment that yields returns in future years. These returns consist of higher wages, tax benefits, and an overall enhanced life experience. Individuals in this category will be able to actively participate in the activities of acquiring goods and services which, in turn, create a stronger economy. Check back soon for our online college guide.